As a rough stone The Golden Jubilee weighted 755 carats and was discovered in Premier mine, South Africa in 1985. After cut The Golden Jubilee became the largest faceted diamond in the world, weighing 545.67 carats, which means 15,47 carats more than The Culinan I. 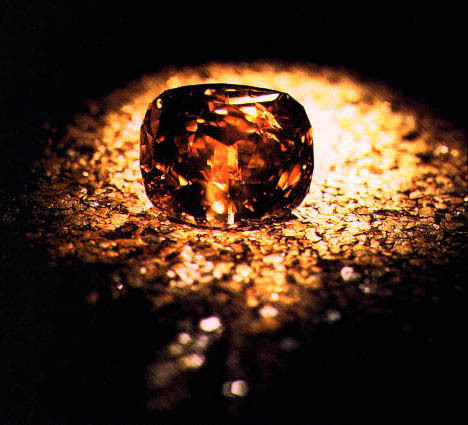 The stone was designed by Gabi Tolkowsky, who also designed the 273.85-carat Centenary Diamond. 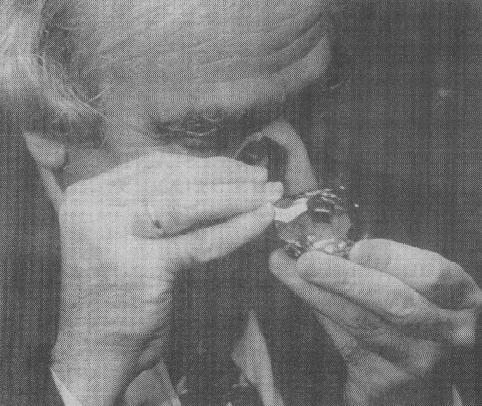 Tolkowsky describes the Golden Jubilee's cut as a "fire rose cushion cut" and commented “within its heart lay a wonderfully mysterious shine that gave the diamond a character unlike any other”. Its color has been graded as "fancy yellow-brown" and because of this the stone was simply known as the Unamed Brown before getting its real name in 1988. 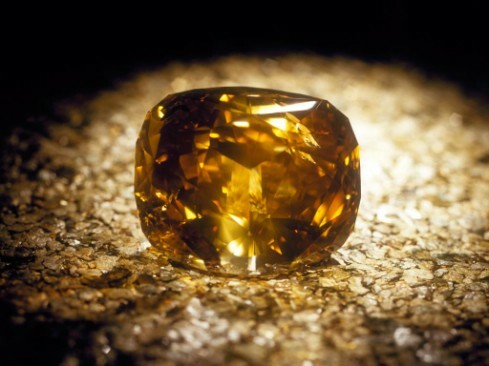 The “Golden Jubilee” was presumed to be the most unattractive discolored diamond. The famous diamond was given for testing special equipments and cutting methods which was mainly developed for detecting flawless These sorts of tools and techniques were never tested previously, but it seemed that “The Golden Jubilee” was made guinea pig for this experimentation. A large surface and deep cracks from the interior, as well as several inclusions, meant that cutting and polishing the big diamond presented challenges. In 1997 the Golden Jubilee was presented to the King of Thailand for his Golden Jubilee - the 50th anniversary of his coronation. This precious stone was brought to the country by the Thai Diamond Manufacturers Association. It is being heard that the diamond has been purchased from the De Beers by a team of people headed by Henry Ho, of Thailand. 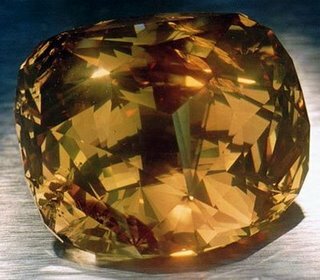 Trivia Tidbit: the government of Thailand reported the stone as being a large golden topaz so as not to irritate the citizens -- Thailand has been in financial trouble for some years now, and the news of the purchase of the massive diamond would only make the popularity of the government drop. The diamond is now on display in the Royal Museum at Pimammek Golden Temple Throne Hall in Bangkok and its estimation value is. is $4-$12 million.